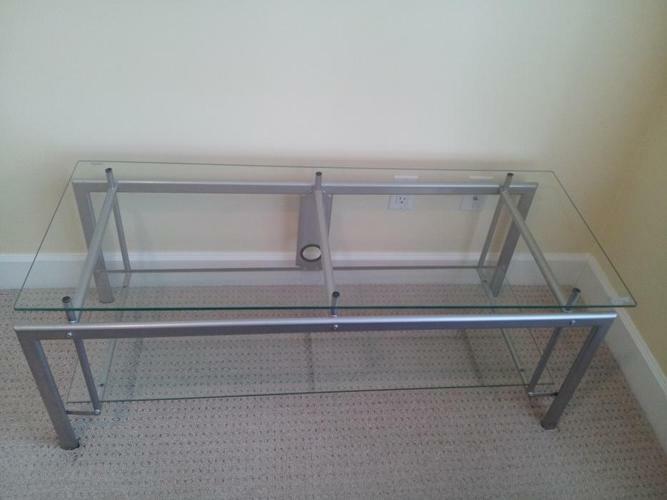 Beautiful tempered glass TV stand. Moving so priced to sell! Beautiful sofa & love seat.